IT dominated the horror movie scene last year and left a whole new generation petrified of evil clown Pennywise. But just when you thought it was safe to walk past open drains again, IT: Chapter 2 is on the way, with production beginning in Toronto this very summer. Eek. And it looks like this next instalment will make the original supernatural adventure look as tame as The Care Bears Movie. Addressing the audience at CinemaCon on 24 April, director Andy Muschietti promised fans an even scarier experience. People are very invested emotionally in the characters of the story. At the end of the first one, there’s a promise of something else…It’s gonna be scarier. It’s gonna be a more intense experience. So, bring your adult diapers to the theater. Landing in Autumn 2019, It: Chapter 2 will pick up 27 years after we left the the Losers’ Club; with flashbacks to the 1980s. The first instalment followed the protagonists as kids, whereas the upcoming film will follow them into adulthood. But don’t expect to see Bill, Richie, Beverley et al living quiet lives in suburban Maine after the trauma of their childhoods. 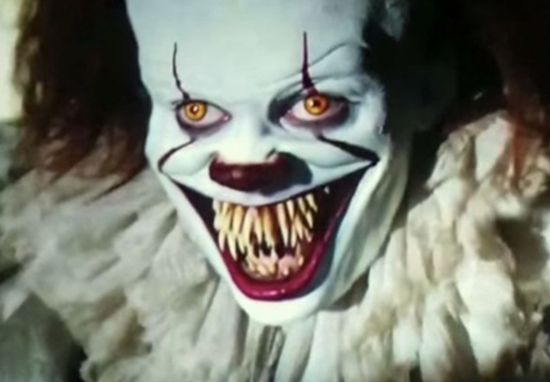 The monster fighters will be facing the dancing clown once again as we return to the gruesome world of Stephen King’s notoriously horrifying 1986 novel. Jessica Chastain has now been confirmed to play adult Beverly Marsh. Chastain has previously worked with Muschietti before, on seriously spooky ghost story movie Mama. The only girl in the gang, we will see troubled Beverly deal with abuse once again, this time while trapped in an unhappy marriage. In the book, Beverly also has a career in fashion design. Of course, the perfectly cast Bill Skarsgård will be painting his face once again for his role as malevolent shape-shifting entity, Pennywise the Dancing Clown. Jessica Chastain, James McAvoy dan Bill Harder konfirm cast untuk IT Chapter 2? Yesss!! Pleaseee cast Chris Pratt untuk peran Ben dewasa. According to The Hollywood Reporter, James McAvoy and Bill Hader are also in negotiations to join the cast. If the deals go through, McAvoy will play leader Bill Denbrough; who has a successful career as an horror writer as an adult, much like King himself. His stutter will reportedly return as he is forced to face his childhood demon once again. Hader would take over from Finn Wolfhard to play Richie Tozier. Loud mouthed and sometimes attention seeking as a kid, we will see grown up Richie work as a DJ. Just saw Bill Hader’s in talks to play the adult version of Richie Tozier (one of my favorite characters ever) Chapter 2 of IT. Cannot contain my excitement. So we could possibly have Jessica Chastain, James McAvoy, Bill Hader, and Colin Hanks as Bev, Bill, Richie, and Eddie in IT: Chapter 2. Muschietti has previously spoken of his dark plans for Mike Hanlon’s story arch, which deviates somewhat from the original novel where Mike lives the quiet life of a librarian. I want to make his character the one pivotal character who brings them all together, but staying in Derry took a toll with him. I want him to be a junkie actually. A librarian junkie. When the second movie starts, he’s a wreck.